However there is no mention of a tree named Gharqad in Jewish sources! Hence, the Jewishness of the Gharqad tree seems to be a misconception. Let’s illustrate one which stems from a wrong interpretation of the scriptures and try to clarify which other wrong interpretations may have been at the source of the misconception relative to the Jewishness of the Gharqad tree. 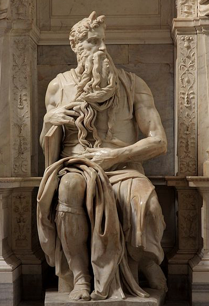 That one is related to sculptor/painter Michelangelo’s sculpture of Moses with horns on his forehead, owing to a mistranslation of the Bible. The second book of the Torah (Pentateuch) narrates the Exodus of the Israelites from Egypt. וַיְהִי, בְּרֶדֶת מֹשֶׁה מֵהַר סִינַי, וּשְׁנֵי לֻחֹת הָעֵדֻת בְּיַד-מֹשֶׁה, בְּרִדְתּוֹ מִן-הָהָר; וּמֹשֶׁה לֹא-יָדַע, כִּי קָרַן עוֹר פָּנָיו--בְּדַבְּרוֹ אִתּוֹ. However, St. Jerome who translated the Bible into Latin (Vulgate) confounded the verb קָרַןKARAN / to Radiate with קֶרֶן KEREN /Horn. Both words are written with the same letters but with different diacritics. 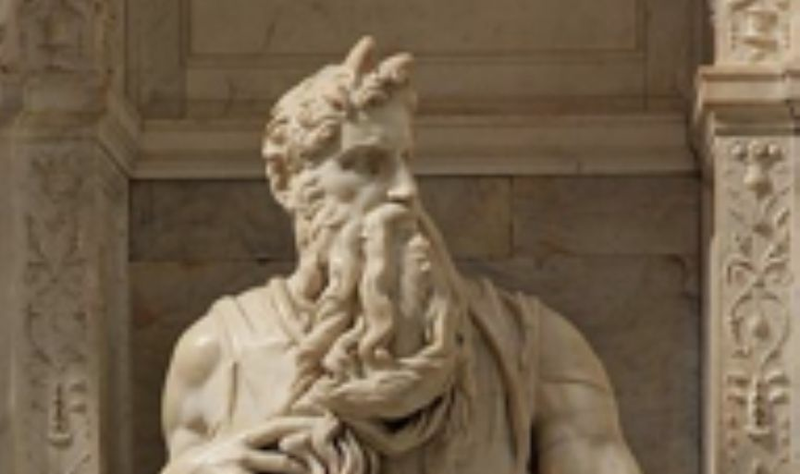 Hence Moses was sculpted with horns by Michelangelo. That mistake has been corrected in later translations of the Bible. The The Three Princes of Serendip tale is at the origin of the term Serendipity which indicates an unplanned, fortunate discovery. That is what happened to me while I was looking for the origins of the word YORK for New-York. Before relating to York’s etymology, let’s draw the attention to its common and cognate letters with the Gharqad tree: RK and RQ are adjacent in both words. A and O are vowels which can be used interchangeably. Y,J and G are used in similar words in cognate languages. It is a wonder that names of plants in places far away from each other have such similar names. 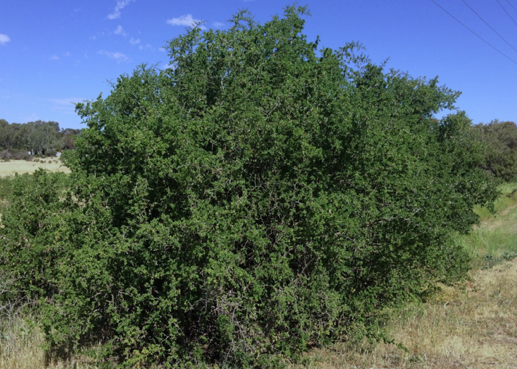 The English for is Boxthorn Gharqad known as well as Lycium (from Lycia in present day Turkey). Whereas the plant named York is known today as Buckthorn! The city of York was established by the Roman Empire in C.E. 71 with the name of Eboracum. Meaning the place where the Alder Buckthorn grows. The Greek appellation for the region was Περιοχή του Έβορος Periyokhi tou Evoros ! Eboracum/York was famous for jewelry made in a semi-precious stone of fossilized wood known as Gagates. (Λίθος γαγάτης /Lithos Gagatis which is quite homophonous with Gharqad) This stone got its name from the Anatolian city of Gagai in Lycia (see Lycium above). The founder of Constantinople/Istanbul Constantine the Great conducted urban work in York as well. This may explain the similarities of plant names and the source of misnomers within the larger cultural space of the Roman Empire. Jewelry made of the Gagates stone was manufactured in the city of Eboracum/York in the Evoros district with its Greek appellation. Two Greek words are used to depict Jew in Greek: Yudeos and Evreos. Hebraicum means the Hebrew language in Latin. In the light of the above, could we assume that the JEWISHNESS of the Gharqad/Boxthorn tree is a Mumpsimus or a misnomer at best? A record of the words and actions of the Islamic prophet Muhammad reported by his acquaintances or of those who reported his acquaintances’ narrative.